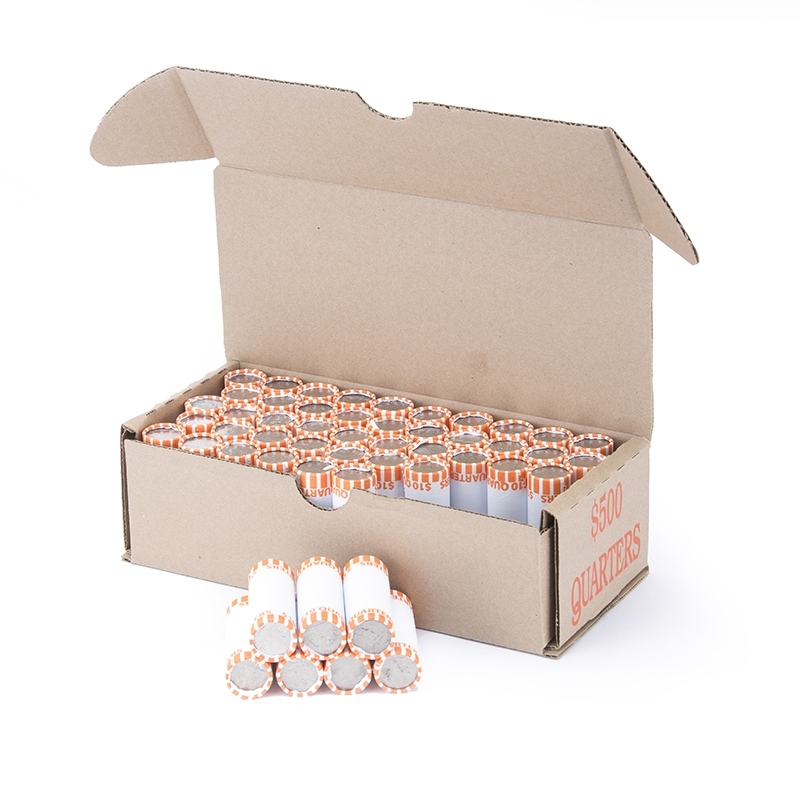 "Quarter Storage Boxes" product is already in your cart. 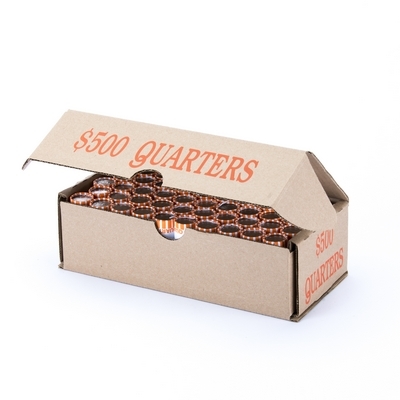 Designed to hold 50 wrapped rolls of coin, these corrugated coin boxes are perfect for storing or shipping. Each sturdy box only takes seconds to set up and are triple-banded to ensure safe shipping. Denominations are printed in ABA standard colors and are shipped to you flat and bundled for simple storage.